Get a little help from eyeshadow to fake thicker hair. Get some much needed ponytail height with a little butterfly hair clip. 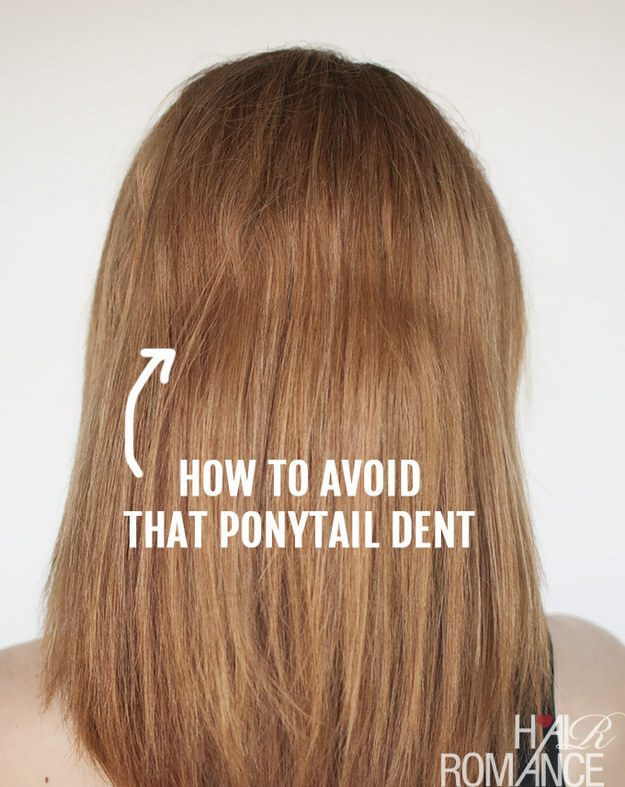 Or prop it up with two bobby pins. 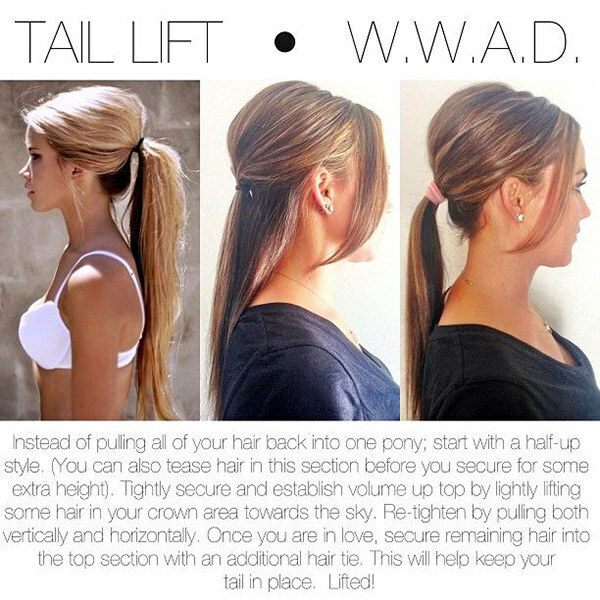 A tiered ponytail is the most secure way to pull your hair back while exercising. It’s the perfect hairstyle if you have long bangs or wispy layers that always seem to escape from the grip of your ponytail’s elastic. 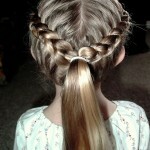 If you have shorter hair, keep the back pieces from falling out by double braiding it. It’ll also look awesome, like a cute li’l pineapple. 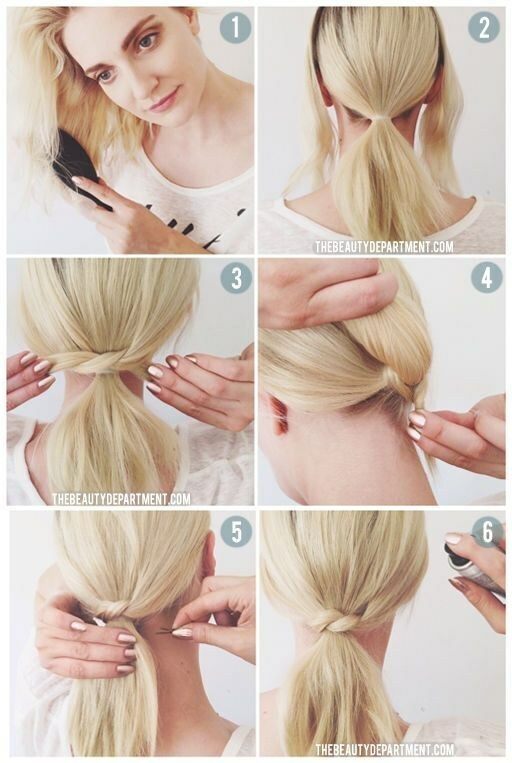 If you have side pieces that frequently fall out, braid the sides. 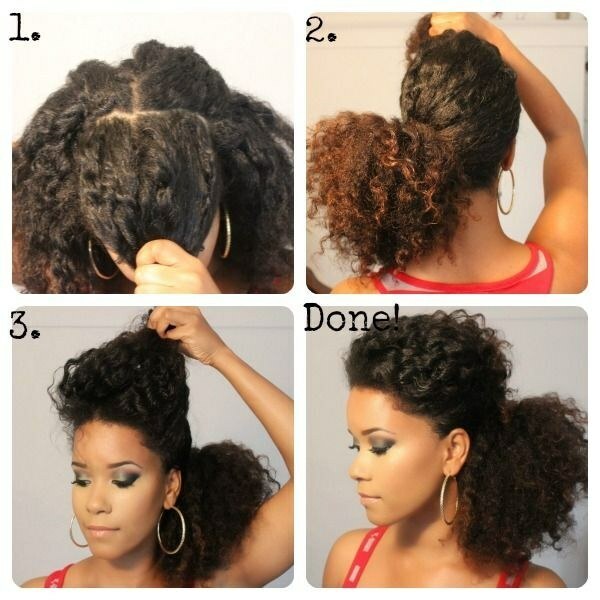 If you have thick hair, this chunky twist is a romantic variation on the side pony. Give your ponytail that effortlessly messy look by texturizing it with dry shampoo. 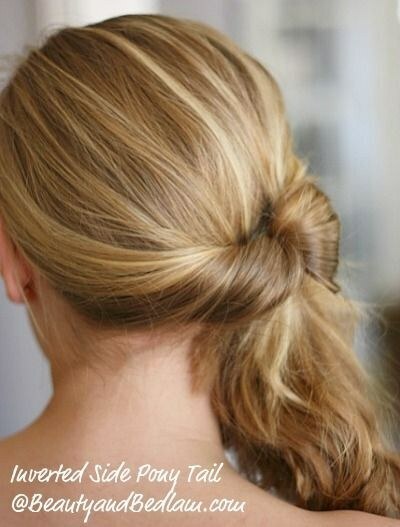 Stack two ponytails to give the illusion of a longer, fuller ponytail. 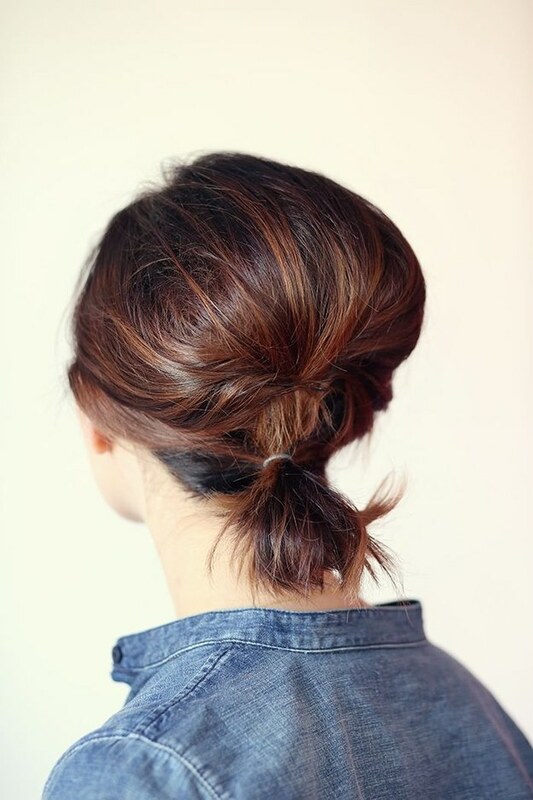 Do a topsy tail (inverted ponytail) and tuck the ends in to make an easy chignon. 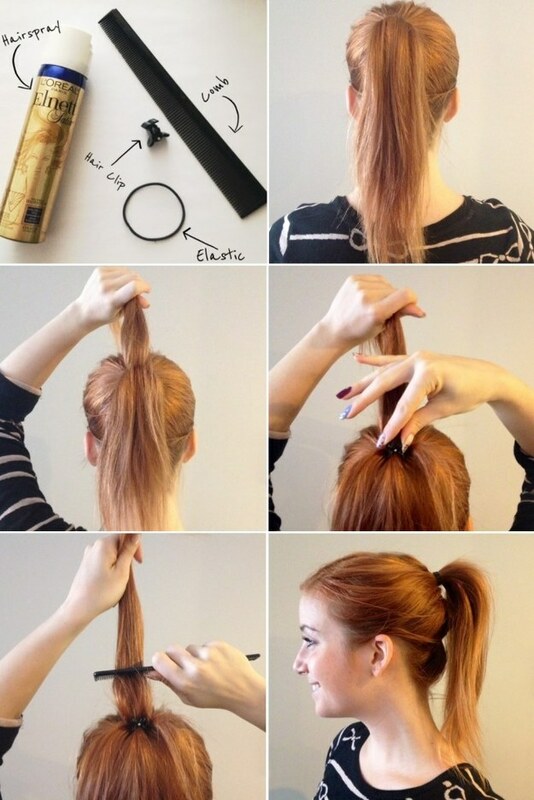 For when you just want to get your hair off your neck, do an inverted ponytail on the side. Or just twist it on over. 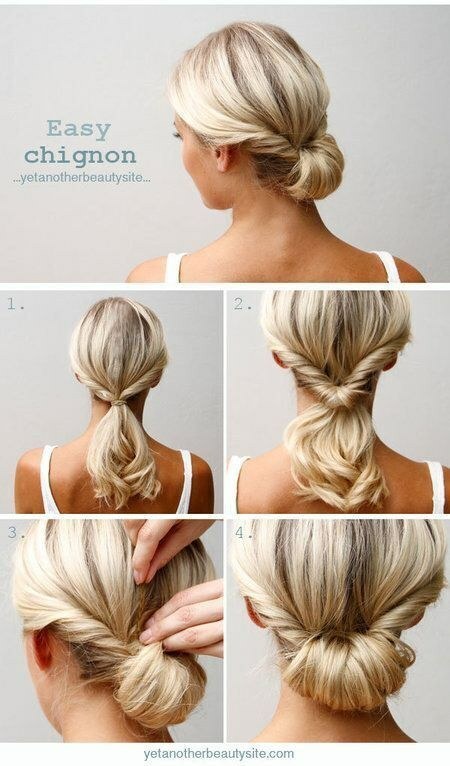 The double knotted pony is an even more interesting variation. Knot two strands of hair for a variation on the ponytail wrap. And speaking of wrapping your pony, there’s a trick for that. 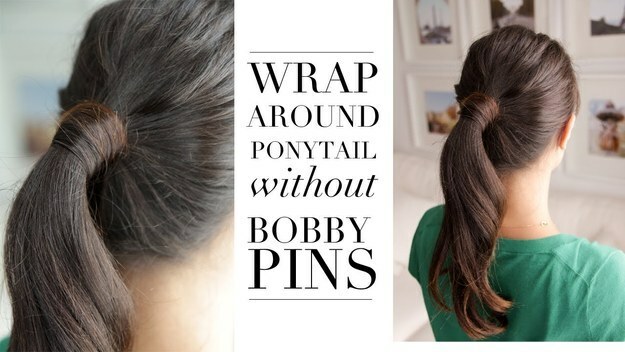 < data–id=”5040559″>Here’s a cool trick to get the wrapped pony look, even if you don’t have any bobby pins lying around. Get a little height on top, no hairspray required, by doing a half-up hairstyle first. Put a big floppy bow on it. 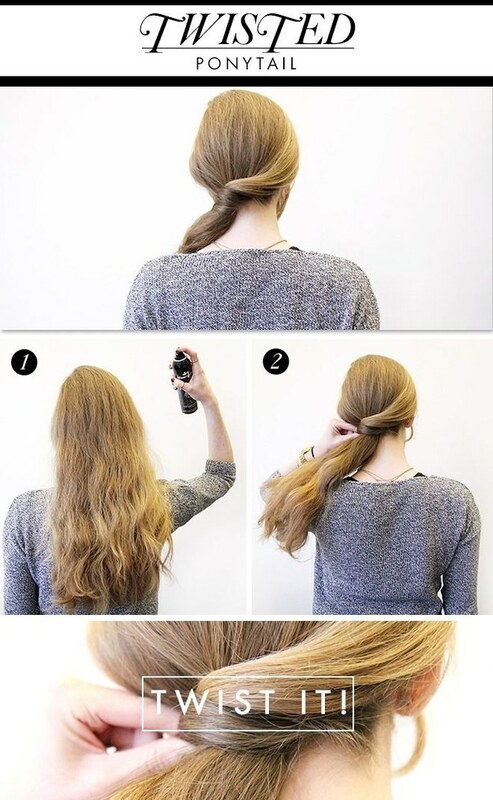 Curl your hair in, like, one minute by putting your hair into a ponytail and dividing and conquering two or three sections. You don’t have to miss out on Brigitte Bardot-esque crown height if you have short hair. And if you really don’t have enough hair for a ponytail? 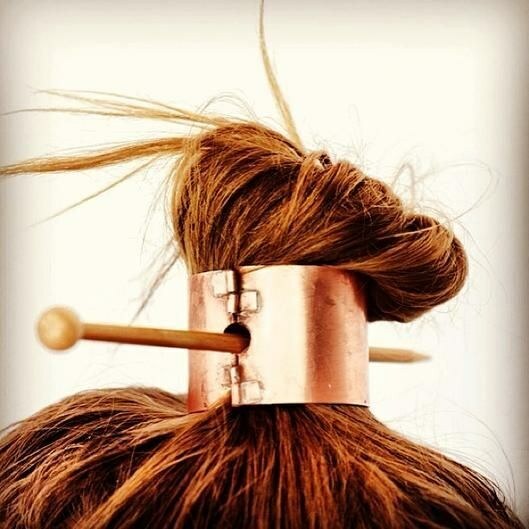 Stick it in a ponytail cuff. Here’s a cool technique for getting all those stray baby hairs to stay in your ponytail. If you’ve never quite mastered ponytail dent-free hair, there’s a product for that. It’s called the InvisiBobble and looks like a vintage phone cord. If you’ve got thick hair, just separate the bangs out to get more height at the crown.